Every single morning I am pretty convinced that my children are really not my kids but rather a foreign alien or something sent to disrupt my slumber and make me miserable. I love to sleep and I am totally not a morning person. They are morning people and clearly, they do NOT take after me! I have tried it all, black curtains, earlier bedtime, later bedtime, sleepy tea, NOTHING has helped. They think 6:30-7 is an optimal waking time and I couldn't be any more annoyed! Recently I was told that the American Academy of Sleep Medicine created two apps to teach children about the value of sleep. 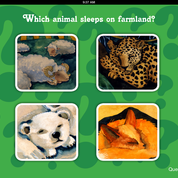 These apps, I See the Animals Sleeping and Animals Sleep, are available for iPad, Kindle and Android devices! 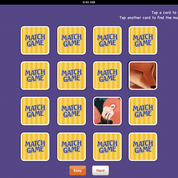 I downloaded them to Dexter's iPad for he and Oliver to use. Oliver, being 3, is very precocious. He learns a lot from watching others and he excels at many things that kids his own age have yet to learn about. I showed him the apps and he was right into it before I could say another word. I love that he was able to choose whether he wanted to read the book himself or have the book read for him. That is always a BONUS in kid's apps. He was entertained for quite some time and I loved that it wasn't just a book but it also had games and activities too! 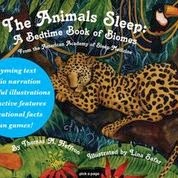 The science teacher in me LOVES that they call the Animals Sleep book, "A Bedtime Book of Biomes". What a fantastic opportunity to teach your children about the word biome and what it means! 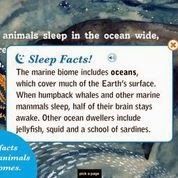 They also have facts within the app to teach other scientific facts! Even as an adult I was engaged and impressed. I have to admit, not only is this app super engaging, informative and very educational, it is also a lot of fun. Oliver spent hours this past weekend coloring pages, playing the match game and answering quizzes. I was shocked that he did it so well. He really was paying attention! I would highly recommend these apps to any parent who wants their children to develop a greater understanding of the world of sleep. Its an invaluable science tool and its a bonus that it is very fun for children of all ages (adults too). What tips do you have for other parents regarding children's sleep? Tell us for a chance to win a $30 Amazon Gift Card compliments of the American Academy of Sleep Medicine. Have a bedtime routine. My kids know that we get on pj's, brush teeth, read a story, and it's time for bed. Makes the whole process go smoother. There are two sides to your pillow. When you go to sleep tonight we will flip it on the "good dream side" so will sleep well and have sweet dreams tonight!! We make sure the last hour or so before bedtime is "calm down time", relaxing and watching a movie or reading a book etc. Then do the same thing every night, brush teeth, go to the bathroom, get into pjs. A bedtime routine is valuable for good sleep habits to form. We also played music very softly in the background to help lull the kids to sleep - or lull them back to sleep if they woke up! One bedtime tip is to always stick to a bedtime routine and do things in the same order. That way your children will know it's time and not fight going to bed. Must have a routine and stick to it. We have a bedtime routine but it doesn't always mean it works. Sometimes there needs to be flexibility to allow for different options at different times. Use of books before bed with snuggles is always loved. Be consistent. I learned the hard way. The consistency will pay off. 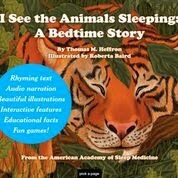 A warm bath, a book and snuggling a bit before bedtime works the best for my kids. One of my tips is to run a fan in order to keep the room cool and also provide white noise. I believe a schedule helps make bedtime easier. TV off at least half hour before bedtime. Story before bed. Tuck your child in. Night light to scare all the monsters away and leave the door open a crack. Be consistent! For my oldest it involved car rides to get to go to sleep! My youngest was a breeze to put to sleep. Bedtime story, kiss goodnite, rub her back and she was out like a lite! We drink tea together before bed. It helps them sleep and it's a good bonding time for us. I have to say that sticking with a regular routine is the best tip. It does work!